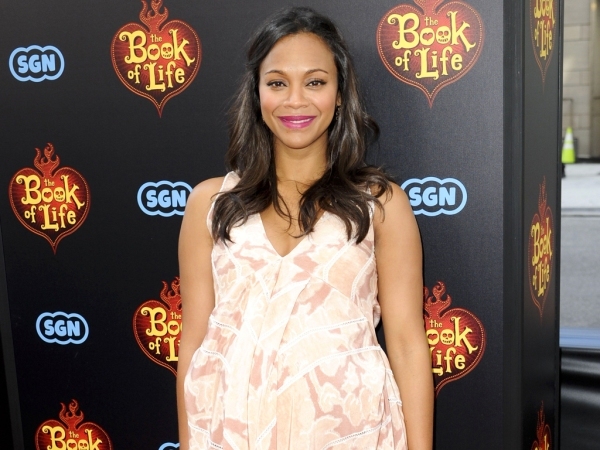 Zoe Saldana feels pregnancy has made her “spastic”. The Avatar actress and husband Marco Perego announced in July they would soon be parents, with Zoe later confirming she’s expecting twin boys. And the 36-year-old star opened up about the forgetfulness that’s followed in an episode of Untold With Maria Menounos airing Thursday. “You forget a lot of things!" she insisted, laughing that her husband’s name is one of them. "...There have been a couple of times I've called him Michael," she mused. "I have like Dori brain from [Finding] Nemo - I reset like every three seconds." Zoe also spoke about the cravings she’s been enduring. And she’s not holding herself back from indulging her sweet tooth. "You find yourself driving around bakeries, over and over, drive-thrus, like, what am I doing?" she said. Zoe recently said her mantra for being a glowing mother-to-be is to never eat “small”. And she’s vowed to stick to that idea throughout her pregnancy. “I eat good, decent, hefty meals, but not in-between," she recently explained to British magazine Women's Health. "It just disrupts everything. I look at those little granola bars and I'm like, 'Why am I going to waste my calories on a f**king little bar that keeps me hungry?'" Zoe and Marco married in June 2013 after a whirlwind romance.